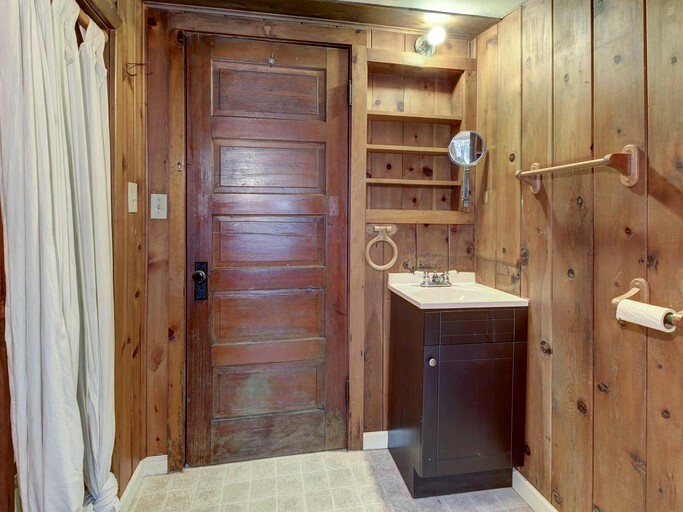 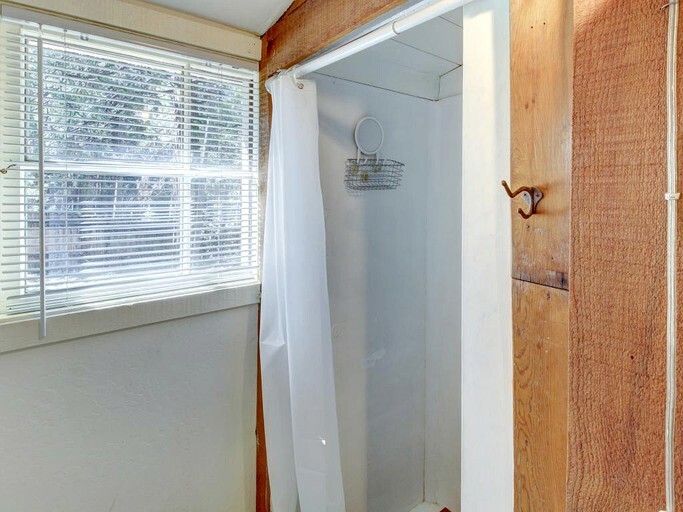 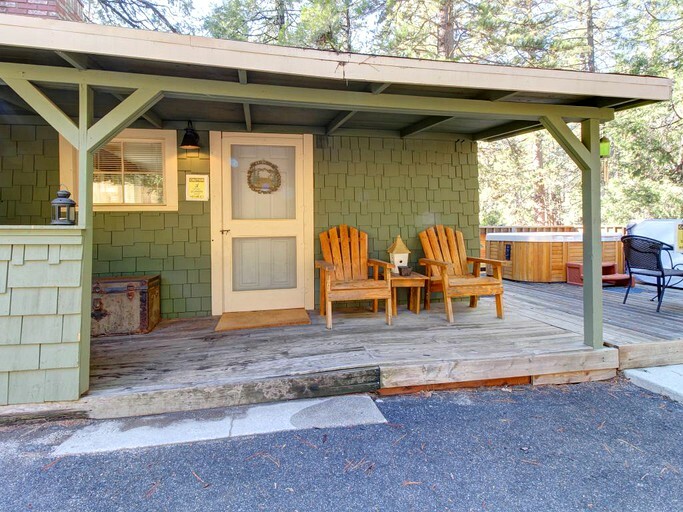 This studio cabin offers guests the perfect romantic getaway. 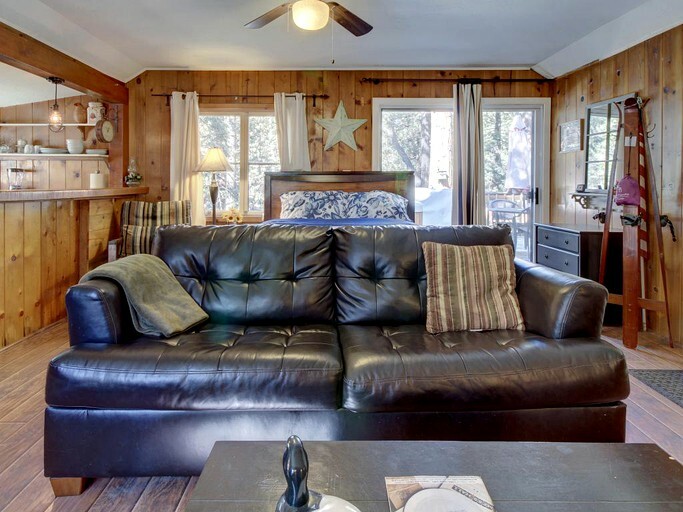 Guests can curl up on the leather sofa while huddled by the fireplace to shake the cold winter blues. 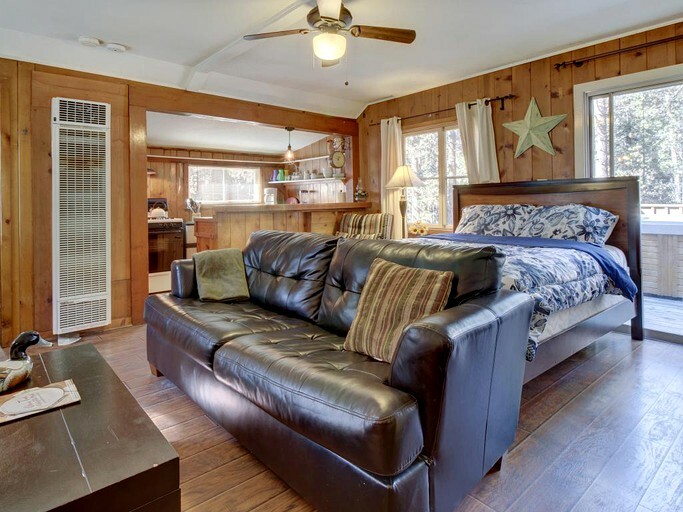 There is also a flat-screen TV, perfect for evenings in. 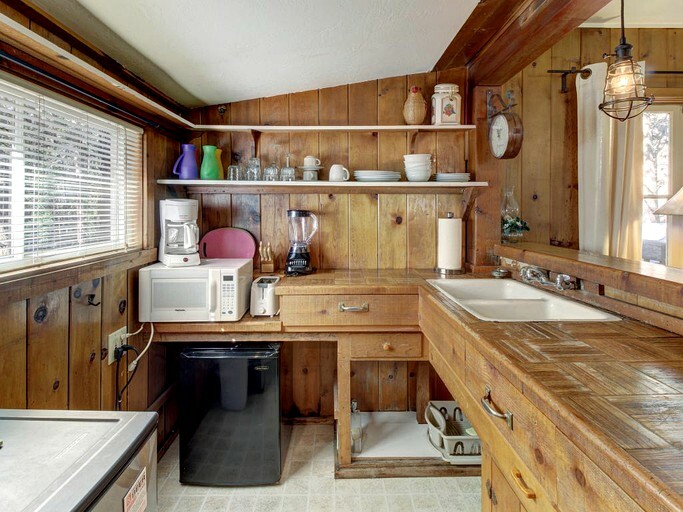 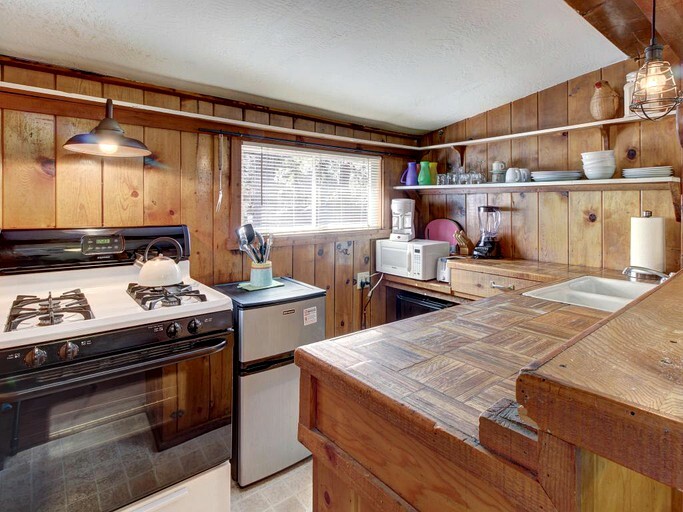 The kitchen is perfect for two and comes equipped with everything needed to whip up some delicious meals. 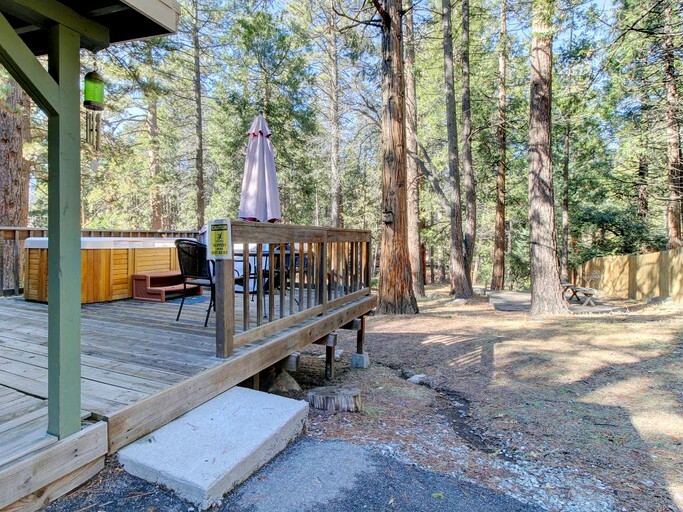 Outside, there is decking engulfed by towering trees. 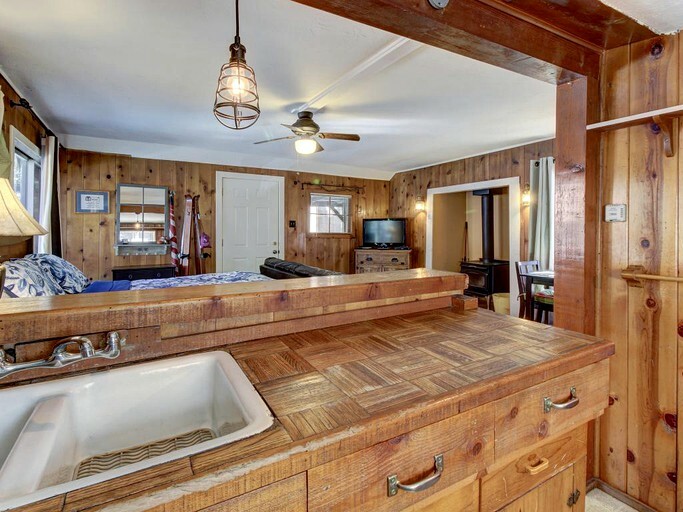 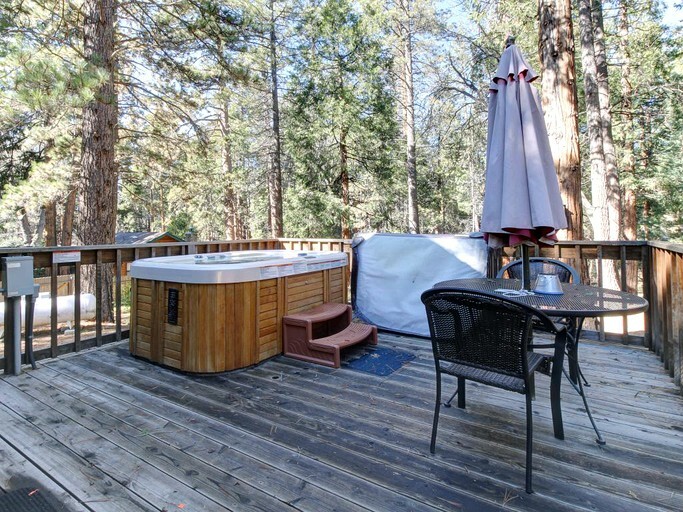 Here is where guests will find the grill and the rejuvenating hot tub. 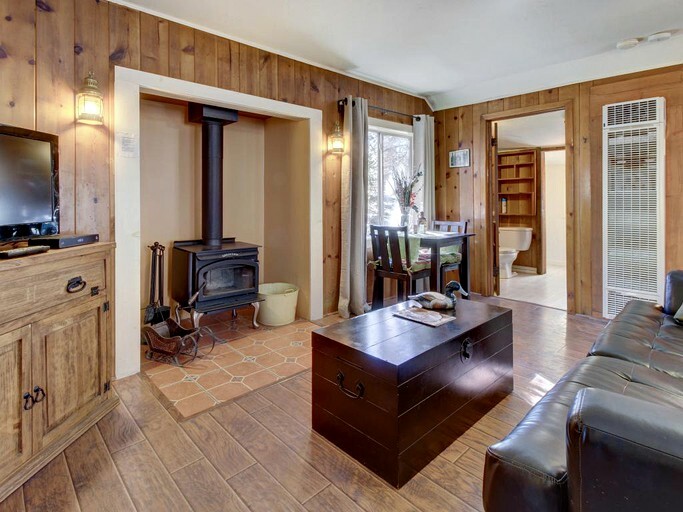 Just outside this romantic rental, guests will find endless paths and trails to wander along. 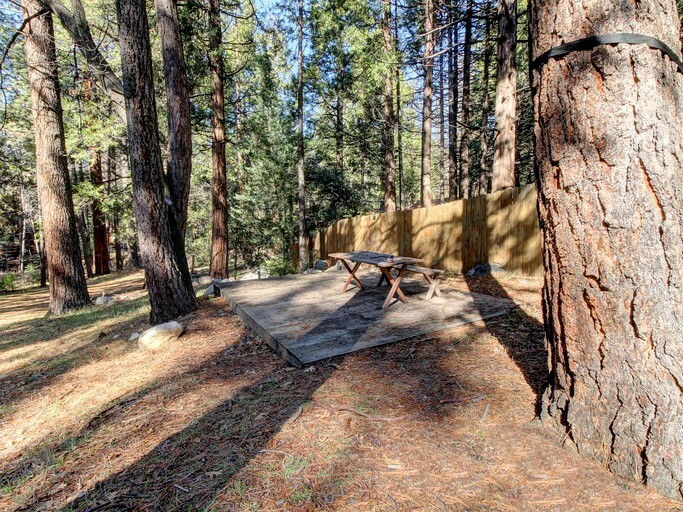 For those adventurers, there is plenty of mountain hiking and climbing to get the adrenaline pumping. 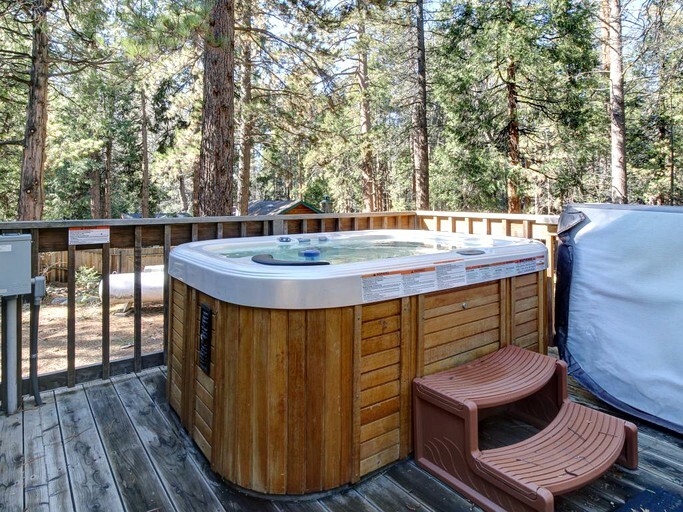 Lake Hemet offers watersports and the perfect oasis to cool off on a hot summers day. 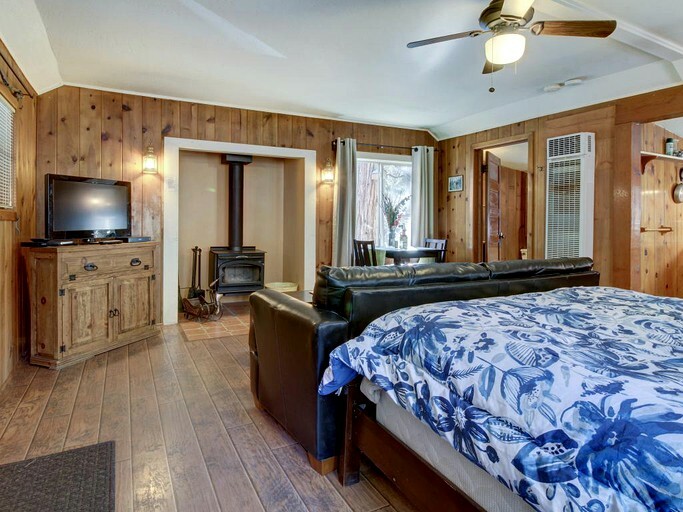 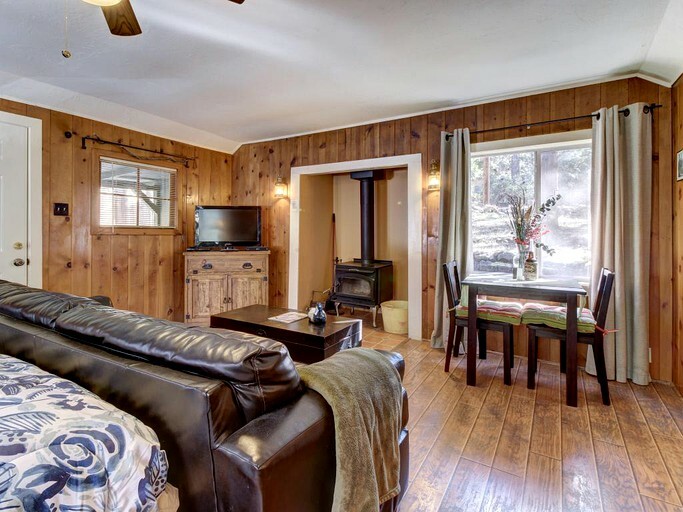 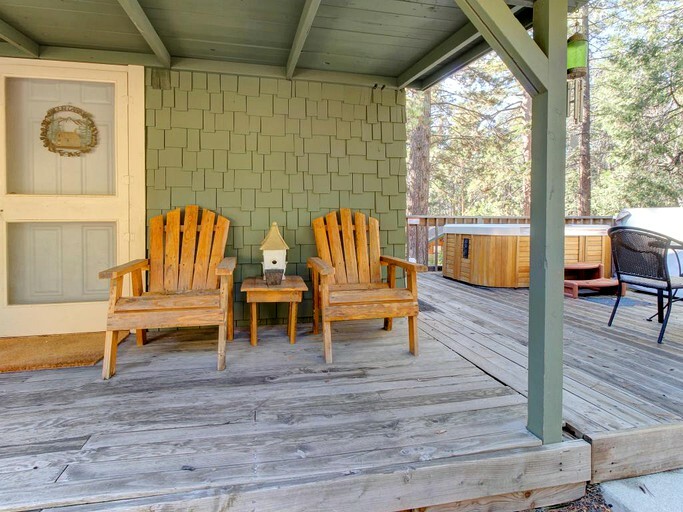 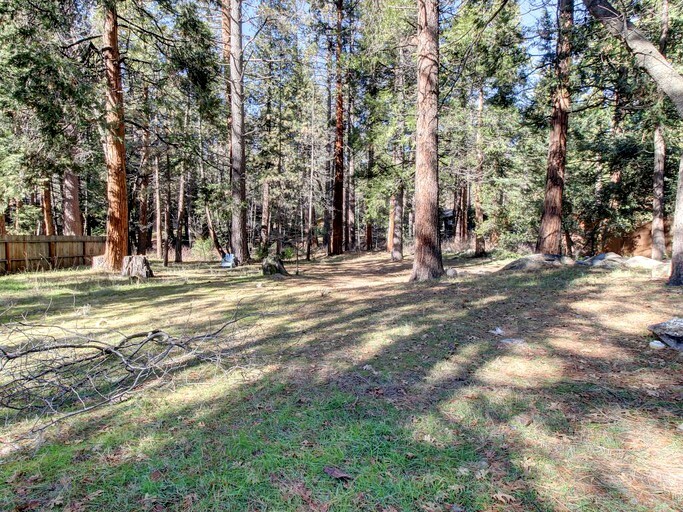 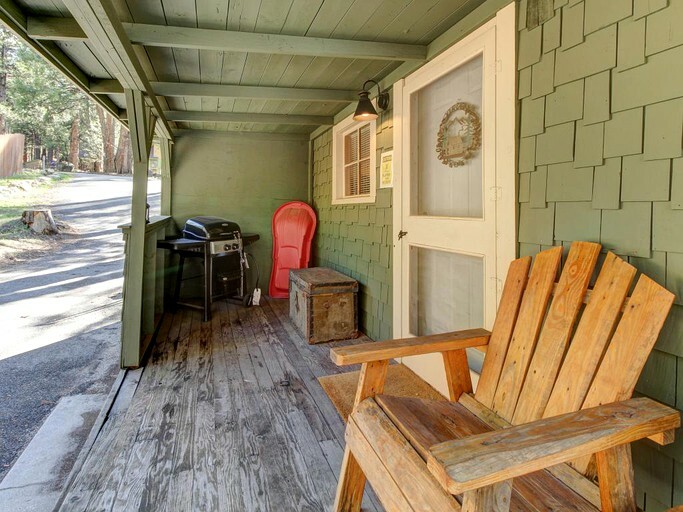 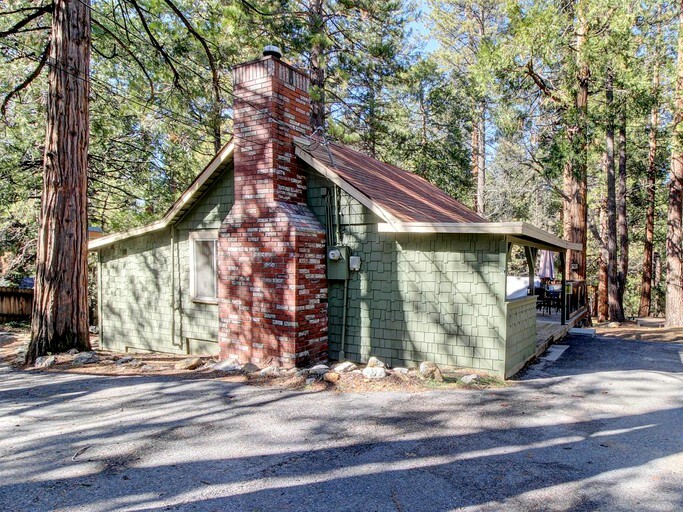 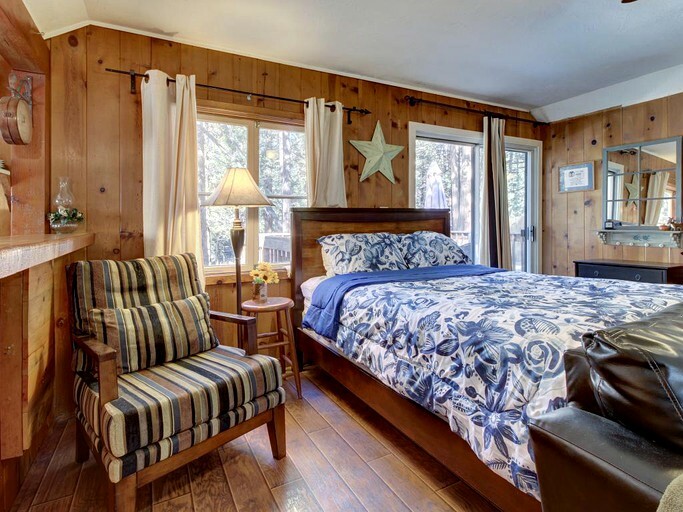 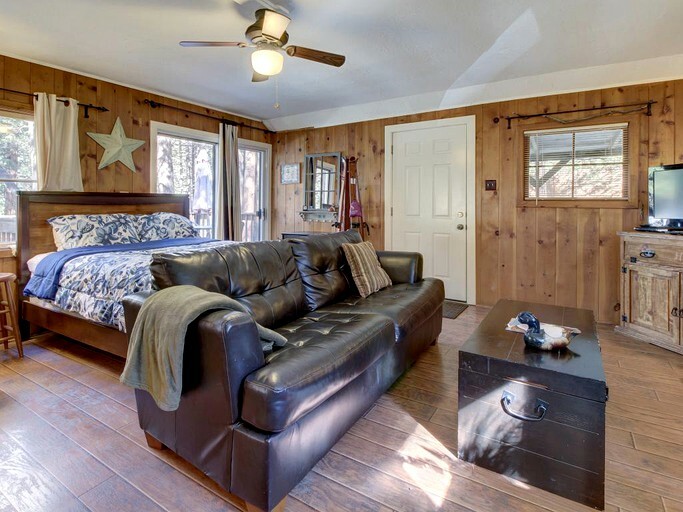 Idyllwild is just a couple of miles from the cozy cabin, and guests can get their taste buds tingling with some fantastic food in the local restaurants or browse the shops. 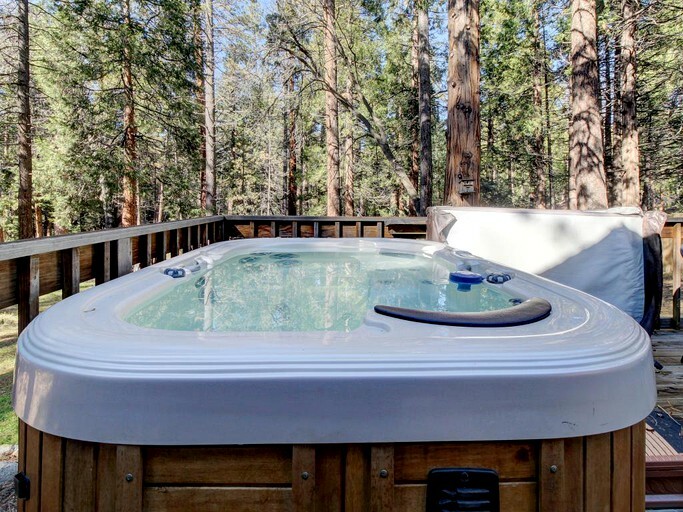 Whether looking for a quiet retreat or an activity-filled vacation, there's something for everyone. 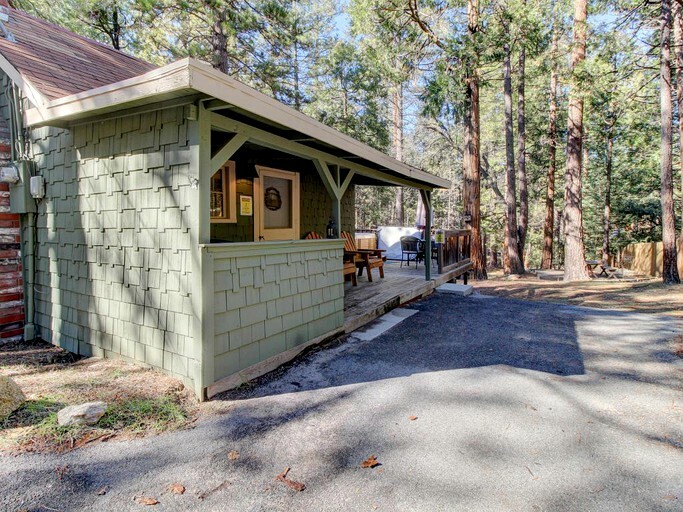 This cabin is dog-friendly for an additional nightly fee. 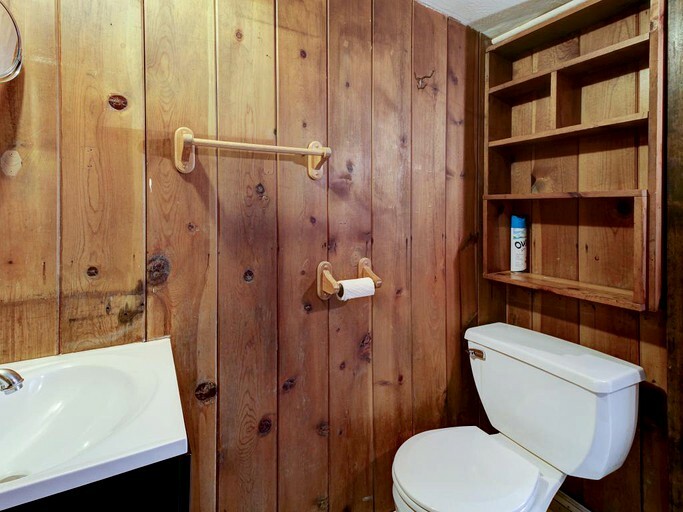 There is a 25-pound weight limit.